When Cuero Community Hospital in southeastern Texas began its search for an open MRI system, the project was met with much skepticism. 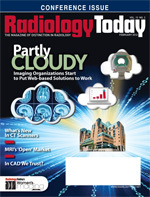 “My group of radiologists weren’t at all supportive of open MRI,” recalls Brian Olsovsky, RT(CT), director of radiology at the 60-bed hospital that provides inpatient, outpatient, and emergency services. But his research on the state of open MRI technology suggested otherwise. “I saw that it had definitely changed in the last few years and is still changing the market,” says Olsovsky, who recommended the hospital purchase a Panorama High Field Open (HFO) MRI scanner by Philips. As soon as the Panorama HFO MRI was installed in June 2009, it quieted the naysayers. Olsovsky and Cuero Community Hospital’s experience is not unique. More hospitals are buying open MRI units as they see the units’ quality has improved and the scans produced are comparable with those from higher-field-strength, traditional-bore magnets. Even though the earlier open MRI scanners weren’t as high quality, there was still a demand for them as some patients—including the elderly, people with limited mobility, heavier patients, and those with claustrophobia who couldn’t lie comfortably in the closed magnet’s tunnel. Researchers in Berlin, Germany, who are studying whether an open MRI scanner can reduce claustrophobic reactions suggest that claustrophobia affects up to 15% of people and that fear of suffocation and restriction prevents as many as 2 million people from undergoing MRIs each year. Before Cuero Community Hospital acquired its open magnet, its MR scanner was on a mobile truck that pulled into its parking lot once per month. “Asking claustrophobic patients to crawl into a closed-bore magnet in the back of the truck was a double black eye,” Olsovsky says. That was another reason Olsovsky favored going with an open system when the hospital was choosing what would be its first permanent installation. Some MR studies, particularly orthopedics, are better done on an open magnet, Jason Miller says, because it’s easier to place the patient in the magnet’s isocenter. “When you position the patients in an open MRI, you can move them right or left and put them in the exact center where it’s most uniform,” he says. Michael Perrone, RT(R)(MR), director of MRI at the Hospital of Central Connecticut, says eight years ago, its board of directors insisted the hospital buy an open vertical field scanner for its Southington campus. “The referring physicians in the Southington area had said they were tired of sending their patients out of town to get an open scan because we couldn’t do it here,” Perrone recalls. In 2004, after looking at the available technology, the hospital chose the Hitachi Altaire 0.7T open magnet. In 2009, the hospital upgraded to the Hitachi Oasis 1.2T open architecture vertical field magnet,. The quality of its images, Perrone says, can be pretty close to a 1.5T. “Sometimes you can’t tell the difference,” he says. However, there is debate in the industry about the relative quality of open MRI images. Some manufacturers and radiology directors believe that open magnets aren’t the best solution to the problem of image quality and patient comfort when it comes to MRIs. Anne Sheehan, MRI product manager for Siemens Healthcare, believes that vertical field open magnets are now old news and that the newer trend is toward open-bore magnets that have a 70-cm bore diameter and a shorter tube. Open-bore MR systems are somewhat of a middle ground between original vertical field open and standard 60-cm bore magnets. Open-bore magnets are about one-half the length of standard magnets and for many exams, the patient’s feet go in first, and his or her head remains outside the system. The option is often tolerable for people who find that tight spaces make them anxious, and the image quality is equivalent to standard magnets, Sheehan says. She also notes that the wider diameter (70 cm) open bore can accommodate patients weighing up to 550 lbs. In 2005, a study of patients who had undergone an MRI on the open-bore system in the Mayo Clinic in Jacksonville, Florida, was presented at RSNA. Almost all the patients asked said they found the open bore as comfortable as a traditional vertical field open magnet, and 94% said they would be willing to have another scan on the same system, if necessary. Vera Miller, BSRT(R)(MR), is responsible for MR applications and training at Shields Health Care Group, which operates 21 imaging facilities across Massachusetts. Since Shields bought its first Magnetom Espree Open Bore in 2005, it has replaced its vertical field open magnets that ranged from 0.2 to 0.7T. Jacques Coumans, GE Healthcare's general manager for premium and interventional MR, agrees that cylindrical wide-bore magnets address the patient demand that has been building for some time for a more comfortable scanning experience. Coumans has found that the market for open MRI systems has declined over the last couple years, especially in the United States. Part of the reason is cost. “The open market really peaked a couple of years ago and is now seriously declining because the industry can produce a high-quality 1.5T or even 3.0T wide-bore system more cost-effectively and install them in a patient-friendly environment where even claustrophobic patients are OK with being scanned inside,” he says. The demand for open MRI is still higher in some parts of the world, such as China, Coumans says. But in China, the issue is conductivity and less so patient comfort. “China’s electric grid isn’t as reliable in rural areas as other parts of the world, such that imaging facilities may have issues with higher-strength magnets,” he notes. Also, he says, the lack of easy access to helium in those areas make low-field open permanent magnets preferred over cylindrical superconductive systems. At Cuero Community Hospital, the installation of the Panorama HFO included the Ambient Experience so patients can choose the sounds and lighting that surround them during the scanning process. Patients can bring their own CDs or MP3 players, and they find that very comforting. Olsovsky believes the Panorama HFO is an excellent system and was the perfect solution for his small hospital. Since its installation, its patient volume has grown from about 70 MRIs per month with the mobile unit to about 115 with the new system. Also, Olsovsky says, there is little to no need for repeat scans. For some studies, especially of patients with continuous back pain, the answer isn’t just an open magnet but an upright one, says Raymond Damadian, MD, president and founder of Fonar Corp in Melville, New York, which introduced the first commercial MRI in 1980. Fonar’s Open Upright MRI scanner allows back pain patients to be evaluated in the positions that exacerbate their symptoms the most, whether that’s sitting, standing, lying down, flexion, extension, or in rotation. When patients are in the Fonar Upright, they have nothing in front of their face, unlike an open MRI or a short-bore MRI. That the patient is always facing the open air in front of them greatly reduces the chance of claustrophobic-related symptoms. “The Fonar Open Upright MRI has near-zero claustrophobic rejection,” says Dan Culver, director of communications. Patients can even watch television while they’re being scanned. But patient comfort isn’t the only benefit, Damadian says. Thanks to its upright scanner, Damadian and Fonar scientist David Chu, PhD, believe they have discovered important information about the etiology of multiple sclerosis that could someday lead to a cure. Cerebrospinal fluid (CSF) is produced and stored in the central anatomic structures of the brain known as the ventricles. The ventricles produce 500 mL of CSF daily. Neck trauma can cause pressure to build up in the ventricles, and this can cause CSF to leak into the surrounding brain tissue. Utilizing Fonar’s Upright Multi-Position MRI technology, the researchers were able to view the flow of CSF in and out of the brains of randomly chosen patients with multiple sclerosis while the patients were lying down and upright. When patients were in the upright position, the researchers could see obstructions to the flow of CSF, which was often not seen when the patients were recumbent. In addition, the structural abnormalities of the spine (eg, disc herniations, retrolistheses, spinal ligament abnormalities) responsible for the obstructions of CSF flow were often greatly reduced or not visible when the patient was recumbent, Damadian says. The researchers saw CSF leakages into the brain tissues surrounding the ventricles. They believe the leakages could be arising from the elevated CSF pressures being generated by the structural cervical spine pathologies seen in the upright position. In turn, they believe, these leakages could be the origin of the multiple sclerosis lesions of the brain. The researchers reported their findings in “The Possible Role of Cranio-Cervical Trauma and Abnormal CSF Hydrodynamics in the Genesis of Multiple Sclerosis,” published in the September 2011 issue of Physiological Chemistry and Physics and Medical NMR. Open Is As Open Does, and How Low Is High? The FDA or medical societies do not define what open MRI means. A purist may say only systems without a bore can be considered open, while others may argue that a shorter-bore system can provide many of the same benefits. Both approaches seek to reduce patients’ feelings of claustrophobia, which interfere with obtaining images. A system’s success at reducing claustrophobia or providing better patient access for MR-guided procedures—while maintining quality images—could be considered the operational definition of open. An extremity MRI would feel very constricting if for some reason you stuck your head in one, but there’s no reason to do that, which is why it’s included in an article on open systems. In the same vein, the term “high field” is defined by manufacturers’ marketing efforts, not regulators or radiology societies. There’s no official sign like the ones at amusement parks that tell riders they must be this tall to ride the looping roller coaster. Different people have different definitions. The real issue is whether the system consistently produces diagnostic quality images.